NILAI, April 11, 2019 – Faculty of Medicine and Health Sciences, Universiti Sains Islam Malaysia (USIM) has organized an inaugural professorial lecture by Prof. Dr. Hayati Abd Rahman with the title “Survival of the Fittest”. This event conducted at Dewan Senat Canselori on April 11, 2019 with the presence of 150 guests. The titled “Survival of the Fittest” describes a biological concept of reproductive success or preservation of the living in the struggle for life. This subspecialised field of Perinatal pathology is the nich area of Prof Dr. Hayati’s which more than 25 years of teaching and research experience in this field. It plays a significant role in public health. The investigation results provide complete data on diseases and the cause of death in babies which help to reduce infant and maternal deaths significantly. This lecture created awareness on the importance of pregnancy care. Placental examination has helped obstetricians tremendously in the management of pregnant mothers with problems in their pregnancies. Current advancement in research has put forward the role of placenta as a source of stem cells. And USIM has great advantage in having Prof Dr Hayati as the pioneer of stem cell research in placenta. Whenever autopsy is not feasible, placental examination is the best option. Since bacterial and viral infections and parasitic infestations are common and are easily treated, it will certainly benefit women with recurrent miscarriages an intrauterine death who are trying very hard to have at least one living child. Similarly, the presence of abnormal blood component can trigger blood to form solid masses (thrombus) in the blood vessels which can block the vessels supplying the baby. This apparent change when present in the placenta is detrimental to the baby. Certain changes in the placenta from the present pregnancy can also predict the outcome of future pregnancy as some conditions are known to be recurrent. Placental examination has helped obstetricians tremendously in the management of pregnant mothers with problems in their pregnancies. Prof. Dr. Hayati Abd Rahman was born in 1955 in Butterworth. She received her early education in a convent school in her hometown and completed her secondary education in Tunku Kurshiah College, Seremban. She pursued her study in Medicine in the University of Alexandria, Egypt. Pathology has always been her passion since medical school. After a year of internship and a short span of time as a medical officer, she joined Universiti Kebangsaan Malaysia (UKM) as a trainee lecturer. She was in Hammersmith Hospital, University of London for her anatomical pathology training. Being funded by Balabriga scholarship from Switzerland, she underwent a fellowship program in placental and perinatal pathology in the Queen Victoria Women and Children Hospital, Adelaide, South Australia. As the first and only perinatal pathologist in the country, the road ahead was very challenging. In 2004 she set up the first Perinatal unit in the country. It became the referral centre for Malaysia, Brunei and Indonesia. She is also an active researcher with numerous publications and supervisions. In 2009, she was awarded with the Darjah Johan Negeri Pulau Pinang. 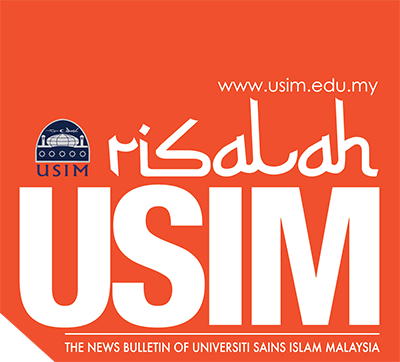 Her presence since 2011 has made an impact on USIM, whereby it has become a referral centre for placental and perinatal pathology in the region. She has since trained pathologists from UKM, USIM, Ministry of Health and Indonesia. She is currently the chairman of the special interest group under the college of pathologists, Academy of Medicine Malaysia. The event also attended by Professor Dato Dr Musa Ahmad Vice-Chancellor of USIM, Professor Dr. Muhammad Shamsir Mohd Aris Dean Faculty of Medicine and Health Sciences, Assoc. Professor Dr Mohd Rushdan Mohd Jailani Deputy Vice-Chancellor Student Affairs and Alumni and, Professor Emeritus Dato’ Dr. Nik Mohd Nasri Nik Ismail Director, Office of Coordinator For Development of USIM Health Centre Complex.